Get the popcorn ready. 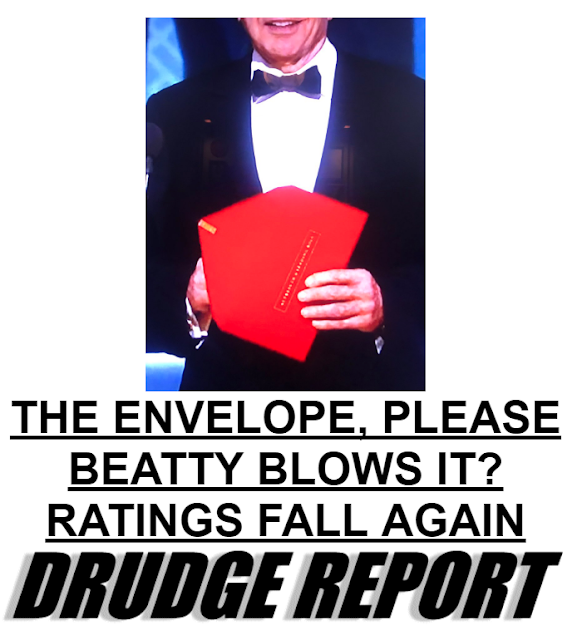 You're about to witness some amazing fireworks, that could possibly change the course of history and send the lying, dying Mainstream Media into retreat, licking their wounds as they attempt to recover from the damage they are about to receive. 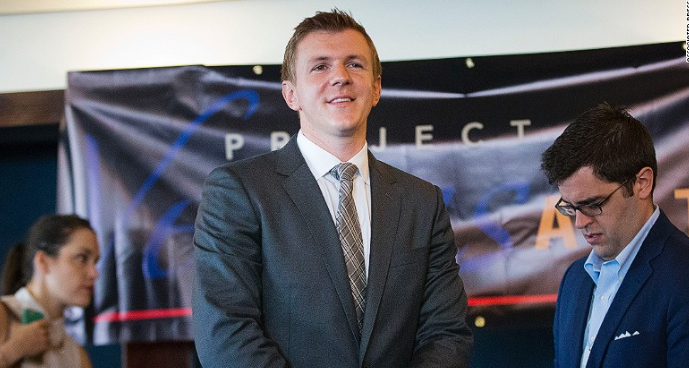 Project Veritas, lead by James O'Keefe, and who is most notably known for "stings" on corrupt organizations, has set his targets on the Mainstream Media in 2017 and his first victim has just been announced, CNN. This comes as no surprise, as CNN has been attacking the Alternative Media ever since Donald Trump surprised so many and won the election. They have attempted to label James O'Keefe and many other prominent Alt Media sources as "fake news", a campaign that has since horribly backfired in their faces. In fact CNN was just recently upgraded from "fake news", to "very fake news" by President Trump in a recent press conference, where he proceeded to eviscerate the MSM for their smear campaign against him. O'Keefe has stated that he has "hundreds of hours" of raw footage and voice audio from within CNN, leaked by an employee who is obviously greatly displeased with his employer and the stance that they have taken in the journalist world. What exactly does O'Keefe have on CNN? Well, to find out the full story, we are simply going to have to wait and see, as they plan on releasing the information in a Wikileaks style format, slow dripping the information out to the public so that this massive amount of information can properly be digested and consumed. Is 2017 even real? 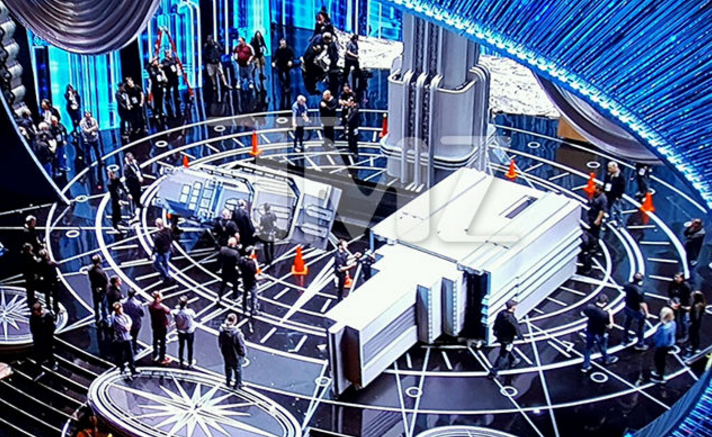 What kind of weird, fantastical twilight zone have we entered into? The world has been turned upside down and I will continue to point out the bizarre and unusual things that continue to be said and acted upon as we go forward and if past results are any future indication, then things are going to get a whole lot weirder. Alan Greenspan, the "Maestro" of fiat money and one of the most prolific fiat money printers that the world has ever seen has entered into this bizzaro alternative reality and is yes, now once again a gold bug! "Under a gold standard, the amount of credit that an economy can support is determined by the economy’s tangible assets, since every credit instrument is ultimately a claim on some tangible asset. But government bonds are not backed by tangible wealth, only by the government’s promise to pay out of future tax revenues, and cannot easily be absorbed by the financial markets. A large volume of new government bonds can be sold to the public only at progressively higher interest rates. Thus, government deficit spending under a gold standard is severely limited. The abandonment of the gold standard made it possible for the welfare statists to use the banking system as a means to an unlimited expansion of credit." This common sense statement, which was just a part of Alan Greenspan's larger work titled "Gold and Economic Freedom", would be brought up over and over again during his tenure as the head of the Federal Reserve. 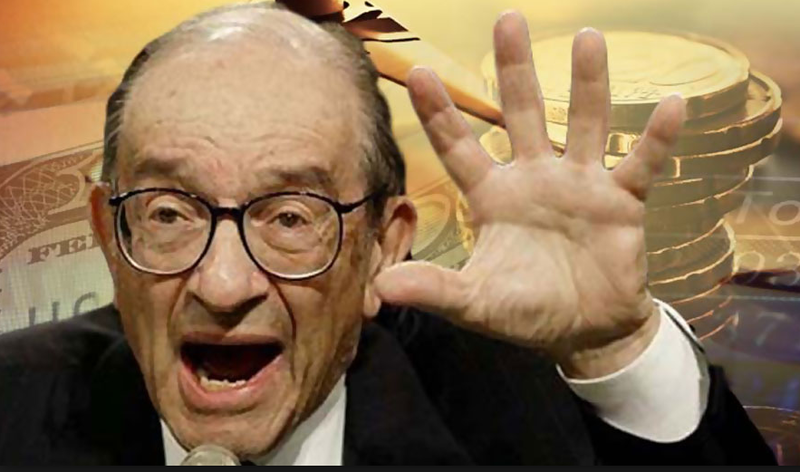 It would be pointed to time and time again, to showcase just how far he had gotten away from common sense and to highlight that once upon a time, Alan Greenspan didn't just believe in money printing to infinity, he actually once believed in reality based economics! It appears, that either he has once again found "religion", or he was just full of it during his time at the FED and was only pandering to Wall Street, attempting to appease them. Likely for his own profit, as he is once again returning to his past beliefs. So there you have it, Alan Greenspan, one of the biggest money printers of all time has grown a conscience. Sadly for him, it's a little too late for redemption. Perhaps he doesn't want to go down as one of the most sadistic money printers of all time. Perhaps he would now like to correct the error of his ways and return back to the sound common sense principles his young self once believed in. For that, we praise him, but this will never erase the reckless actions of his past, of which the true damage is yet to come. The greatest collapse of our modern times. What in the world is going on? What is happening? 2017, is already shaping up to be a year when the world is turned upside down, spun around and jettisoned into deep space. The mainstream media, the lamestream media, or call them whatever you like is losing their grip on reality. The reason why this is happening, is simply because they are losing their grip on the narrative and they can't stand it. For those of us in the precious metals industry, we are way ahead of the curve. We have been smeared by the financial media for decades. GATA has been targeted as conspiracy theorist, even though just about everything they have said has been proven true over the course of time, as have many other "theories" by prominent names in the industry has. The tin foil hats have been taken off, thrown in the dustbin and are never going back on. The mainstream media is losing the culture and information war, and 2017 is the year that it goes into hyperdrive. Hilariously, they are the ones defeating themselves by and large. 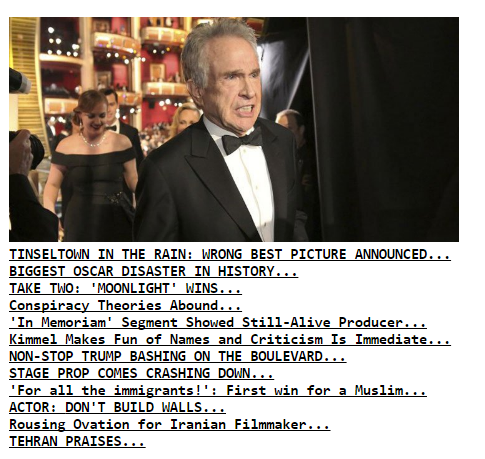 They continue to come out with fake news story after fake news story, that is based on TRUE conspiracy theories, that are easily debunked and dismissed by the mass public who simply won't swallow their lies anymore. Yet, are they backing down? Are they pulling back, reassessing their tactics and saying, wait a minute, this isn't working, more and more people are waking up and changing ranks, less and less people are listening to, and reading us! No. No, they certainly are not, as seen with the Wall Street Journals recent debacle over PewDiePie, the most famous and followed YouTuber in the world. Now being dubbed #PewDieGate. On the face, they are targeting him over some crude jokes they took out of context, which I have to agree, likely took things too far and were out of taste. But what you need to understand is the real, true motive behind their actions, which are now blowing up magnificently in their faces, as the YouTube community rallies behind Felix Kjellberg and defends him almost entirely. 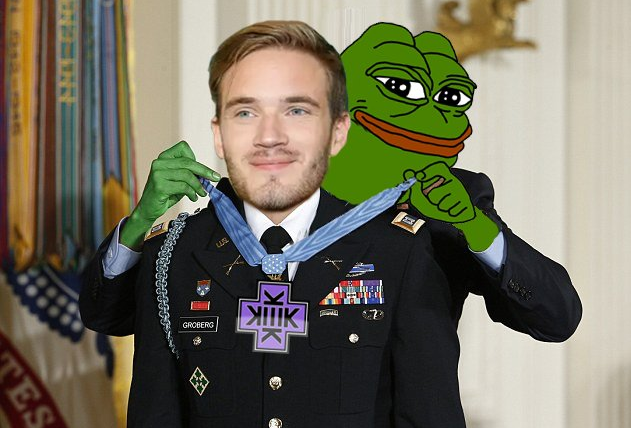 PewDiePie simply isn't taking this lying down and is destroying their fake news narrative they are putting out and it is having a monstrous side effect. It is red pilling (waking up) his gargantuan audience. They are seeing through the lies and not buying it. The real reason why they are attacking him has nothing to do with virtue, which I believe is important, but has everything to do with the power he holds. His influence is far reaching, arguable even more so than ANYONE at the Wall Street Journal. Felix receives tens of millions of views per week, and he is just a dude with a webcam. You have to note, to the MSM, this is unacceptable and is just another example of how the old "guardians" of the news are dying off and becoming extinct. The new, alternative media is here, and they can't stand it. It cuts into their influence, their control and more importantly their profits. As a veteran of the precious metals industry, and therefore a seasoned pro in the hate that the MSM emits towards our industry, I say the following. Too bad, so sad, your time has passed. Janet Yellen concluded another FED meeting on Tuesday, in which she testified in front of congress. Members of the Democratic party attempted to get her to come out and denounce President Trumps policies, but instead kept to her expected "neutral" position and said nothing of the sort. Minor critiques and cautions were given to the new administration on treading lightly into any major tax reforms or cuts in government spending, but this is nothing unusual, and par for the course, no matter which party is in office. Janet Yellen went on in her typical fashion that the FED has so strongly adopted in the past of double speak. Making the markets spin around in a constant state of confusion, saying nothing substantial or overly concrete. Yet, there was one thing that she did say and of which is a major change of course for the FED. 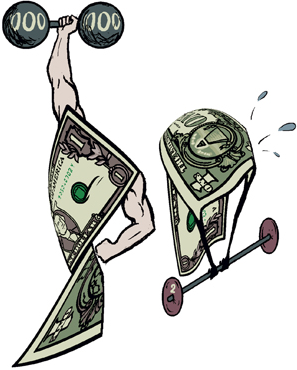 Janet Yellen, as I predicted last year that she would, is now advocating for a strong dollar. Yes, you heard that correctly, she has continued on with her hawkish speak and is now intentionally trying to prop up the dollar. This goes against everything that the FED has done in the past, and it should make you pause and wonder why the FED has suddenly stopped trying to destroy the dollar and found religion. A segment of the financial community, those of us that would consider ourselves skeptical of the FED's true motives, believe that this is a very intentional change of course and is in fact an attempt to enter the United States into another recession. Unfortunately, I believe that this is long overdue and a strong dollar is in fact good for the population of the United States, despite what many in the financial community would have you believe. Yet, their motives and mine are very different in my opinion. I personally believe that this is the prudent steps that need to be taken, for a sustainable long lasting economy. While the FED likely has very different motives for attempting to "crash" the economy. This hawkish talk obviously caused the dollar to gain in strength, but unfortunately for Janet Yellen, President Trump quickly changed that course. Likely knowing exactly what the FED was doing, he once again took actions into his own hands and stated that major spending was on route for infrastructure, as well as significant tax cuts. This of course caused the dollar to falter in strength and reverse the upward momentum that it was experiencing based on the FED's comments. It looks now as if we are going to have two opposing factions, the FED who attempts to raise rates and jawbone the dollar into a rally, and President Trump who attempts to keep the dollar weak and thus put off the inevitable collapse that is in store for the United States and much of the West. Strong dollar, weak dollar, strong dollar, weak... the cycle of MOPE continues on. Jeff Berwick from the Dollar Vigilante joins Silver Doctors to give his take on the first few weeks with Trump as America’s commander and chief. Trump Has Two Options, Berwick Says: Keep Inflating Or DEFAULT on the Debt. Stay tuned to hear why Berwick thinks defaulting on the debt is the best option Trump has, and how you can prepare for the coming crisis! Berwick also discusses Bitcoin. Bitcoin is trading near all-time highs. The Chinese are moving into Bitcoin on mass. And China’s government is working to prevent their citizens from trading in Bitcoin. 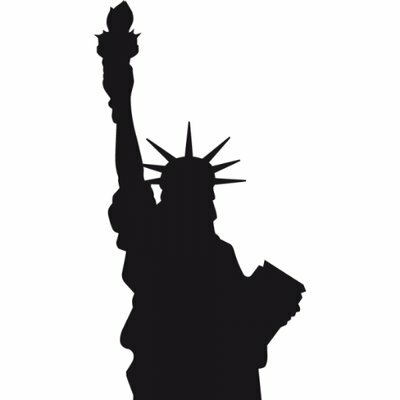 Sound the Alarm - Bloombergs "State of the Economy" Survey Reaches Highest Level Since 2007! Many times in the past, I have talked about the "tale of two markets", in which I explain that there is a market for those on Wall Street, and then there is a market for the everyday man, woman and child. The markets are supposed to be a reflection of our state of the economy. If the markets are booming, then politicians point to this as a fact that everything is hunky dory and A-OK. Forget the fact that millions are without jobs and stagflation continues to eat away at the core of our financial systems. Which is exactly where we stand at the moment. Stock markets continue to remain at artificially high levels and a change in leadership in the United States has renewed business confidence, despite the incredible uncertainty now erupting within and outside their borders. Adding fuel to the fire is Bloombergs recent "Consumer Comfort Index", which has surged higher and now rests at its highest level since April 2015. In addition to this, and more importantly is their "State of the Economy" survey which has reached unexplainable heights. Sitting at a nine year high, this survey rests at 42.8, the highest level since July 2007! This number should be ringing the alarm bells in any contrarian investors head out there and is most certainly flashing a bright red light for myself. As we know, the previous high marked one of the greatest collapses in the markets since the great depression and almost brought the entire system to its knees. What I am fearful of now, is what I was fearful of back in 2007 and that is the fact that people are completely and utterly unaware of just how precarious these markets are. A market collapse could be brought on at any moment, and as we are seeing, global uncertainty and geopolitical relations are now incredibly unstable. This is going to once again wipe out the savings of countless people, of which many may never recover. Will the markets be able to survive another collapse like we seen in the 2008 crisis? Unlikely, as the system is more rotten than ever, and the problems experienced in the past have never been resolved, simply papered over with copious amounts of fiat money. Prepare yourself, take action and ignore the MOPE. Don't be the one left holding the bag, be on your toes and ready to act, at the slightest whiff of trouble. Precious metals have long stood the test of time, they are a safe haven in times of uncertainty, strife and conflict. If the markets are confused and participants don't know what will unfold, then the markets themselves take a hit, while gold and silver receive a boost, fulfilling their role as a safe haven asset. 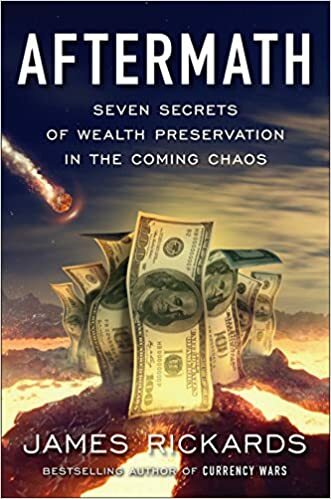 This scenario has unfolded time and time again throughout history and we are once again seeing it happen, especially in the case of the king of metals, gold. Gold ETF's received a massive inflow of funds throughout the month of January, the numbers are out and they are truly stunning. Market participants sent almost $1.6 Billion dollars into ten of the most attractive gold ETF's on the market. 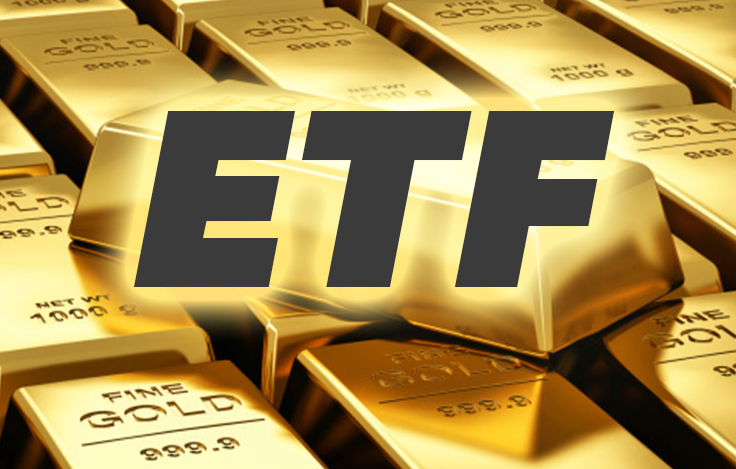 The Xetra-Gold ETF was the largest recipient of this flow of funds, but far from the only one that benefited greatly from the recent global uncertainty that we see unfolding all over the world. Since taking office, the new US administration, led by Donald Trump has put the old global order on notice. This is causing many to take the prudent steps of protecting their funds, as it is anyone's best guess as to what is going to happen in the short term. Global markets are going to face great uncertainty and volatility as globalism is being challenged in each election that we see unfolding. Likely, this is going to cause a minor to severe crash in the markets, as things are reshaped and global trade is re-balanced. What also must be noted is the fact that gold ETF's are not the only winners in this scenario. Many are also parking their hard earned money into gold mining stocks as well, as some of the largest producers in the industry see their share prices rising. Whether you like it or not, volatility is here to stay. The markets are going to gyrate and they are going to have to adjust to the new reality that the world now faces. This period of time will make even the most battle hardened investors weak in the knees, but steps can be taken to lessen your risk and it begins with investing in physical precious metals. The free market, it solves problems, it innovates and it creates growth. Governments typically do the opposite and when they attempt to take the market by the horns, it backfires in spectacular ways. Under government, costs soar and productivity stagnates, this has been proven time and time again throughout history and it is exactly why the free market should not be restrained. One venture that the government has failed the human race for decades in is that of space exploration. Not since 1972 has a man set foot on the moon and since that time, the stars have largely passed us by. Yet, the free market is now being unleashed once again, as companies are being granted permission to strike out on ventures of their own, with the hopes of untold profits for those bold enough to take the risk. This is a good thing, as it will push human ingenuity to the limits and we could potentially see a rapid acceleration in new technologies that would propel the human race into the future, allowing us to expand and acquire much needed additional resources. One company that plans on doing just this, is none other than Moon Express, founded by Naveen Jain, who has raised over $20 million dollars to send a rover to the moon's surface and plans on gathering samples by the end of 2017. 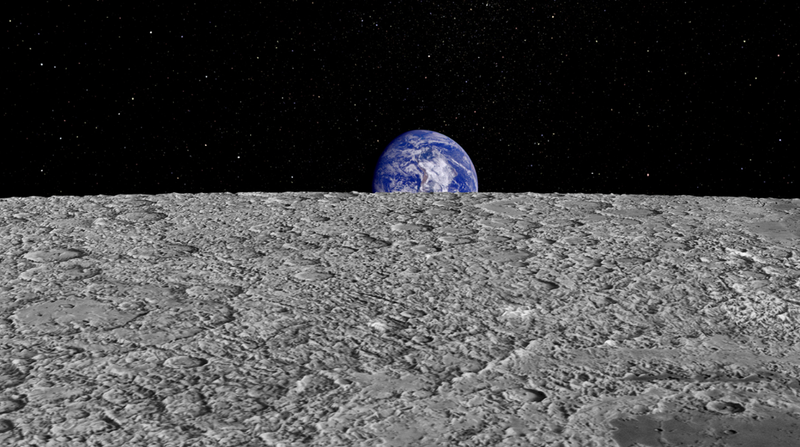 Of particular interest, Moon Express plans on mining gold from the moon's surface, along with other rare elements such as Helium-3, rare earths and platinum. If successful and if able to bring the cost to a level that is deemed profitable (which they believe they can do), then this will mark a new dawn in the age of man going forward. One in which we are not limited by the resources obtained on our planet. The free market is a beautiful thing. It should be embraced, nurtured and encouraged, always and forever. Silver, undervalued and overlooked. This is a fact about this commodity and it very well might be about to change, and in a serious manner. For years, it has been in a sideways pattern after reaching its near $50 high. It has been cast aside as investors have become discouraged, and honestly, you can't blame them. For those not strong of heart, or strong of will, it has not been a great period to be invested in silver. Yet, for those who have been thinking long term, you have been doing the intelligent thing and thinking in ounces, not fiat dollars. You have been stacking and accumulating your real wealth, your hard money. Now, silver stands on a potentially explosive opportunity, one that could be imposed on it not on its own accord, but by external political forces. It is no secret to anyone, that a dispute over "the wall" between Mexican and US leadership has been taking place in the public court. The argument is over who is going to pay for it, and why they should. It is very unlikely that the Mexican government will do this, they simply cannot due to political pressures from within their country, even if long term it would be in their best interest. Unfortunately, there are other ways in which they can be made to pay, which is out of their control, such as the much discussed 20% border tax that is now being floated out there. If imposed, this could lead to an explosive rise in the price of silver. 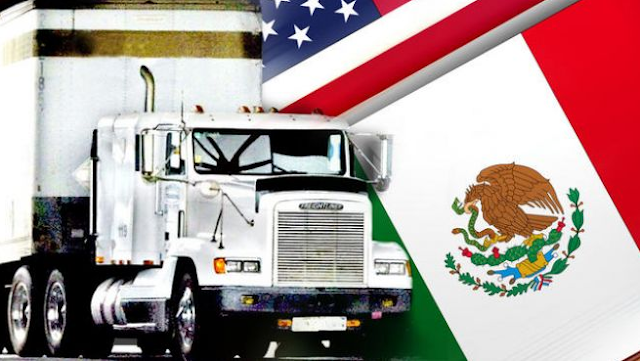 Historically, Mexico has been the largest silver producer in the world, and if a 20% tax is imposed on it, then it could lead to dramatically higher prices in the short term, especially within the United States as wholesalers are sent scrambling to find alternative sources of supply. Take also into consideration that the US debt level is set to surpass the $20 trillion mark any day now, and you can quickly begin to see the potential profit that is unseen in the currently depressed silver prices. Will this unfold? It is unclear as of yet, as an agreement could always be reached before such dramatic actions are taken on the United States part, but the odds are there, and they are high as this game of chicken comes to a conclusion. Regardless of the outcome, I'll be stacking.